Established in the year 2000, at Dapoli, Ratnagiri (Maharashtra, India), we, M. R. Exports, are reckoned amongst the principal seller, importer, exporter and supplier of a high rating range of Fresh Fruits, Mango Pulp, Custard Apples, Cashew Nuts and Fish. Our produce assortment comprises Mangoes-Alphonso, Custard Apple and Cashew Nut etc. The fruits presented by us are farm fresh and are developed under the suitable atmosphere using natural organics under the maintenance of hardworking team of bio organic experts. 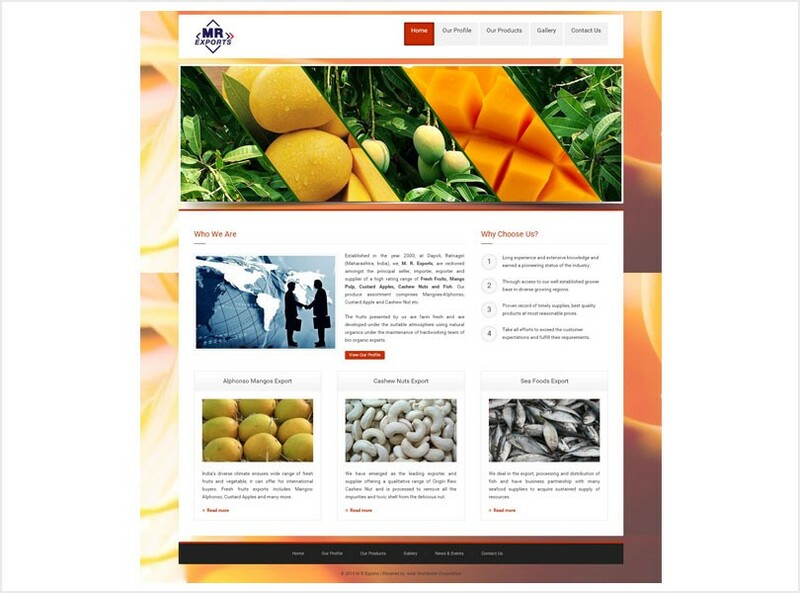 Established in the year 2000, at Dapoli, Ratnagiri (Maharashtra, India), we, M. R. Exports, are reckoned amongst the principal seller, importer, exporter and supplier of a high rating range of Fresh Fruits, Mango Pulp, Custard Apples, Cashew Nuts and Fish.